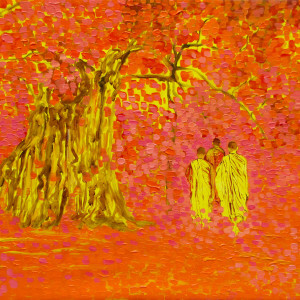 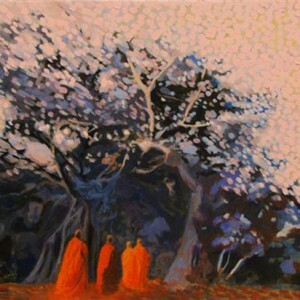 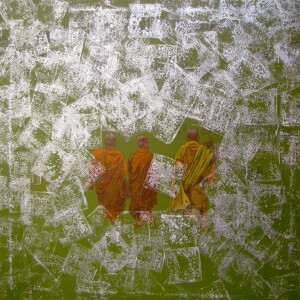 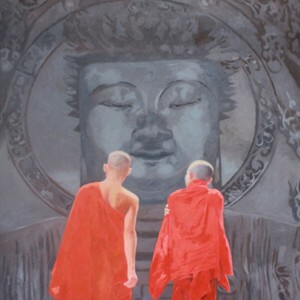 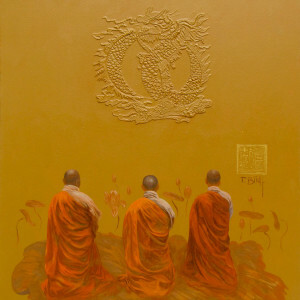 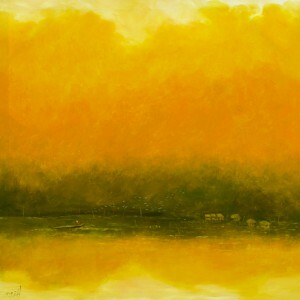 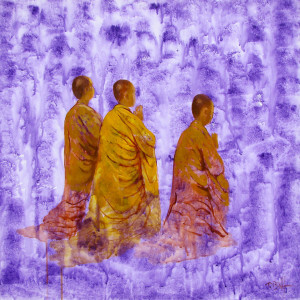 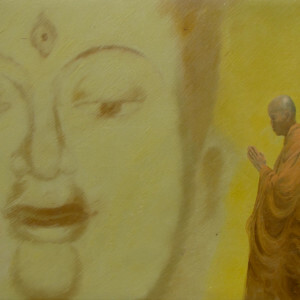 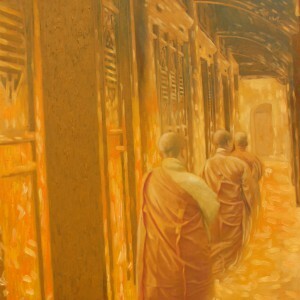 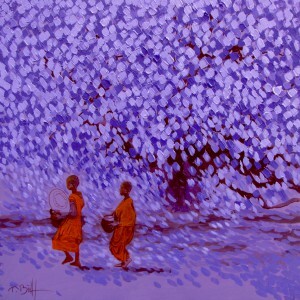 Asian artist Vu Thai Binh is renowned for his exquisite canvasses on Buddhist themes. 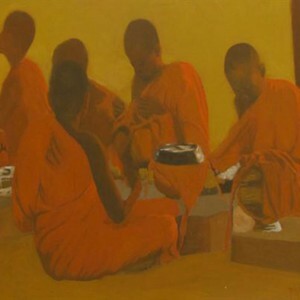 This composition by him shows a solitary monk clad in saffron immersed in his prayers, sitting with his back towards the audience. 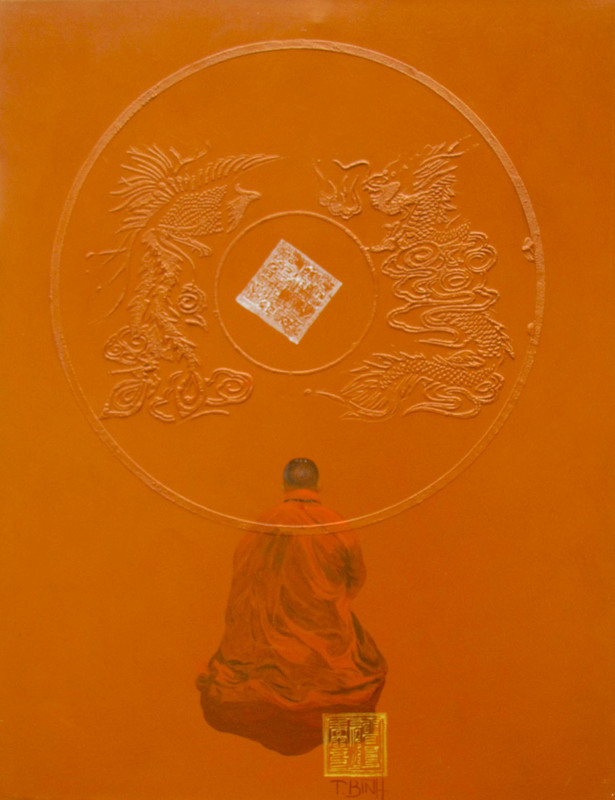 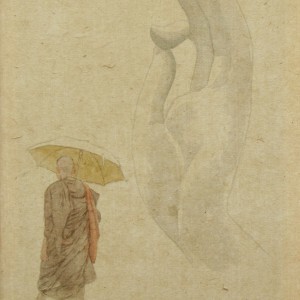 The stately insignia of the monkhood is superimposed by the painter over the figure of the praying monk. 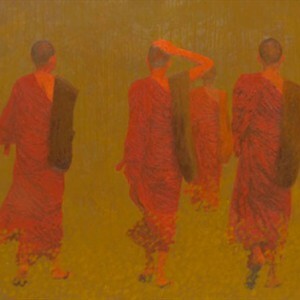 The painting is solemn and meaningful.